During the elections Francis Salvador was elected to the First Provincial Congress from the Ninety-six district – the first Jew elected to office in the American colonies. The legislature chartered South Carolina College, now the University of South Carolina. The Charleston & Hamburg Rail Road was chartered by Alexander Black and William Aiken. Black proposed to build and operate a railed road from Charleston to Hamburg Columbia and Camden. Map of route for the Charleston & Hamburg line. Charleston’s economy heavily depending on the shipping of three staples: cotton to England, rice to southern Europe and lumber to the West Indies. The development of steamers that sailed the Savannah River that brought Georgia and South Carolina crops and goods from August to the port of Savannah, severely cutting into Charleston’s trade. 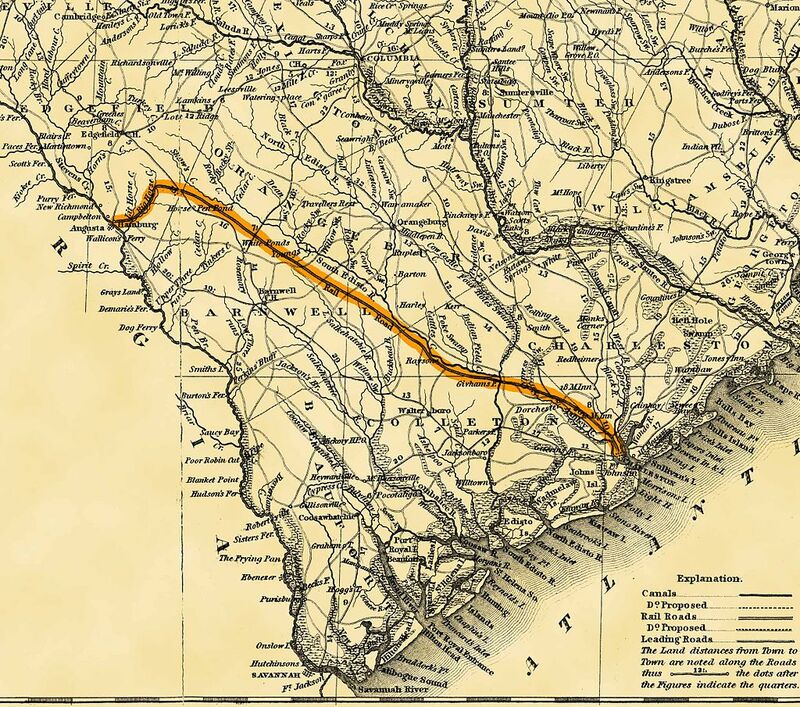 The proposed railed road from Hamburg (on the Savannah River across from Augusta) was considered the best solution – goods could be transported by rail 136 miles to Charleston. 1828 – Nullification Crisis. State’s Rights. 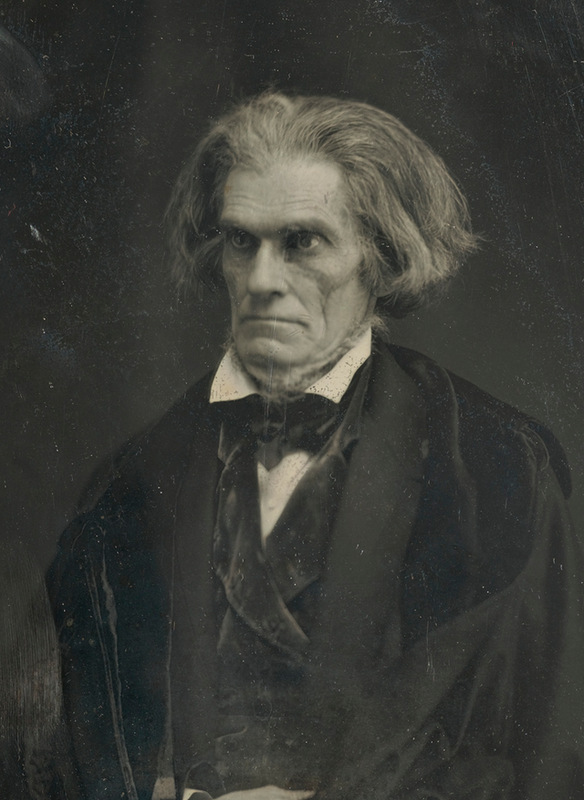 The South Carolina legislature adopted the Exposition and Protest (secretly written by Vice-President John C. Calhoun) which argued about the unconstitutionality of the Tariff of Abominations because it favored manufacturing over commerce and agriculture. Calhoun believed the tariff power could only be used to generate revenue, not to provide protection from foreign competition for American industries. He believed that the people of a state or acting in a democratically elected convention, had the retained power to veto any act of the federal government which violated the Constitution. This entry was posted in History - American, History - Charleston, History - South Carolina, Today In Charleston History, Today In History and tagged Charleston & Hamburg Rail Road, Francis Salvadore, John C. Calhoun. Bookmark the permalink.